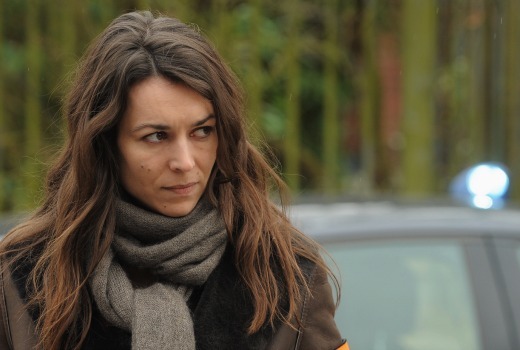 SBS ONE will soon screen Witnesses, a new drama based in the North of France that follows detective, Sandra Winckler, who is investigating a wave of strange murders that are linked to former crime squad legend, Paul Maisonneuve. The series has been critically acclaimed, becoming the first time in 20 years that a drama commissioned by the French public broadcaster has aired the UK. Desecrated graves, dead bodies dug up and left in model homes and every time, the same ritual: a woman, a man, a teenager, who weren’t related but who form a new family. Amid the bodies, a photo: the one of Paul Maisonneuve, a crime squad legend in the North of France, now retired but forced to return to duty. Who is digging up the bodies? Who is leaving them in model homes and why? Detective Winckler is in charge of the case and must work with Paul Maisonneuve to find out just who is behind these macabre stage settings. During her investigation, she will have to delve into Paul’s past, believing him to know more than he lets on because that’s where the truth must lie: somewhere in Paul’s past. For the detective and the ex-cop, life will never be the same, for in the shadows, is a man who will stop at nothing to gain his revenge – a long planned out revenge. Wednesday, 4 March at 9.30pm on SBS ONE. Great to see a new French crime show turn up-they make great ones. I hope SBS will show remaining Spiral series, I think a new one was screened late last year in France & UK. Only one problem:this is the new SBS! So expect changes of screening times, double episodes etc., as per the Ch7 & 9 School of TV Programming! This was ok, but another slow burn from Europe. Good that it is on offer though. Agree, Spiral is a fantastic series. It was actually Series 5 that aired in France late last year (UK earlier this year). We’re yet to see Series 4 (aired in France in 2012, UK 2013). I’ve contacted SBS to try and find out why it’s not being shown and received a nothing response. It seems no-one wants to answer why more of this series cannot be broadcast here. It explains (yet again) why illegal downloading is so rife. Will def give this a look. Not to be confused with *The* Witnesses (Les Témoins), 2007 French movie about how AIDS affects a group of friends in 1984 Paris.